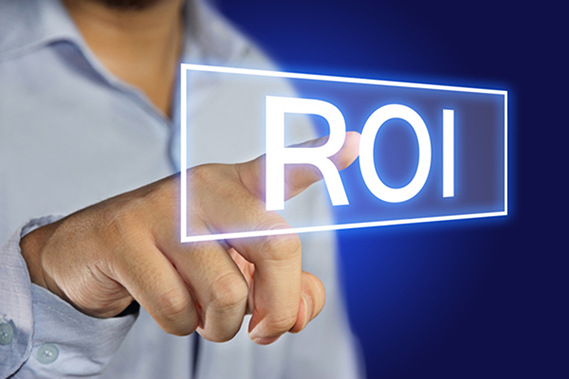 Yes, measuring social media ROI is difficult – it’s one of the most nebulous forms of marketing, and determining just how much value it has for your business is hard. However, it’s vital that you do so. It will help you determine where your efforts are best spent, what’s working and what’s not, whether you’re actually engaging your audience and exactly what you’re getting out of the deal. Thankfully, there are several tools that can help you track your ROI over time. Most of them are even free. What tools should you be using? This one should probably go without saying, but we’re going to list it anyway. Google Analytics is a powerful solution for tracking just about anything, and that includes your social media ROI. No, it won’t tell you what your customers are buying, but it will definitely tell you where they’re coming from (Facebook, Pinterest, Twitter, etc.). You can then combine that information with data concerning specific marketing actions (did you post a new ad?) and correlate traffic spikes from specific networks. Based on this information, you can determine whether an ad is working or not. KISSmetrics has been around for some time, and chances are good that you’re at least familiar with the name. This is one of the best tools for analyzing the traffic coming to your site. Whether it originates with LinkedIn, Reddit, Facebook or somewhere else, KISSmetrics will show you, and then help you assign a value to those visitors based on accurate information (such as conversion or other actions taken). Notably, this helps you determine which channels are the most valuable to your social media marketing efforts, and where you should be spending more time and money. HootSuite comes in two flavors – free and paid. The free account will give you limited access to metrics, but the paid option delivers access to over 30 different reports based on the channels you’ve integrated with the software. Some of the most important metrics include uberVU, and custom URL parameters. Notably, HootSuite also makes managing your social media campaigns and channels that much easier, even if you have a large team or your team is dispersed across several different geographic areas. If you’re a Salesforce user, you can combine that platform with automation software like Marketo. This allows you to track leads back to the campaigns where they originated, even to the exact message that encouraged the user to visit your site (this information can then be used to further tailor your messaging). Facebook offers businesses access to a wide range of tools that can be used to dig into their audience, their social media marketing results and more. These tools are provided free with a business account (this does not include Facebook ads or promoted posts, though). As you can see, quite a few tools can help you track your social media ROI and make more informed decisions.